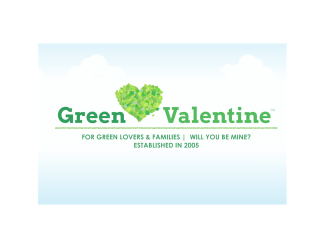 Established in 2005 as a tree planting celebration in The Heights, Green Valentine has since branched out into a two-week long series of events honoring Valentine season and supporting local artists, restaurants, nonprofits and businesses that are impacting healthy communities. Farm-to-table restaurants and their chefs will offer a version of the Green Eggs And Kale menu, with a percentage of proceeds benefiting Urban Harvest. Menus will be offered Feb. 1-15 for ￼brunch, lunch and dinner at Canopy, Canyon Creek, Cedar Creek, Cottonwood, Dry Creek, Liberty Kitchen, LowBrow, Main Kitchen at JW Marriott, Onion Creek, Pondicheri and Sparrow. Green Valentine Tree Planting at ￼￼Stude Park with City of Houston Parks and Recreations, Trees for Houston and Woodland Heights Civic Association. Chaired by Bill Baldwin and Jeff Shell benefiting Recipe for Success and sponsored by Boulevard Realty at the home of Bill Baldwin. The event will honor six Houstonians who are leaders in sustainability for their profession with a Green Thumb Award. The market features locally made and fair trade goods, music and food, gardening, activities for kids and more. Artists represented at the market include Lisa Waering Sacaris, Jason Villegas, Monique Weston and more.